Red Hat is a trusted name when it comes to container platforms. With over 20 years of leadership in open source solutions, Red Hat has become synonymous with innovation and software development. Container technology has quickly become the future of software development. With the transformative changes it’s brought into the cloud-computing world, more and more developers have embraced the advancements the technology has introduced. What exactly is containerization? 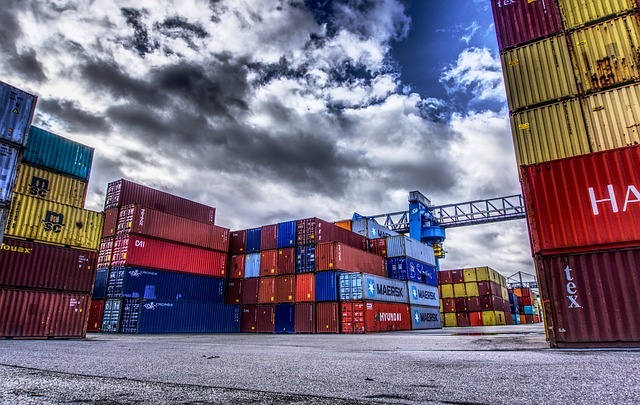 Containers are platforms that enable users to swiftly pack, allocate, and manage applications within isolated containers. Essentially, containers automate application deployment within software containers. Applications are critical in daily operations all over the world. Developers are now able to experience faster and simpler app installation, software run, maintenance, and even upgrades. According to Cluster HQ, on average, 72 percent of organizations using containers fulfilled or surpassed business and IT objectives, while only 63 percent of respondents not using containers reached the same with their own business and IT goals. Red Hat is a trusted name when it comes to container platforms. With over 20 years of leadership in open source solutions, Red Hat has become synonymous with innovation and software development. The firm offers a comprehensive portfolio that ranges from storage, management, virtualization, cloud computing, middleware, tooperating systems, Red Hat offers enterprises container technology that removes the need to re-engineer enterprise apps. This means organizations can develop flexible, smarter, and faster applications to enhance overall service velocity. Technology must be able to evolve and transform the conventional and that’s what Red Hat has done with the cloud-native platform. The OpenShift Application is a new offering that accelerates cloud-native application development with pre-fabricated, containerized runtime foundations. Better Security: Red Hat offers security and compliance features that enhance network policy and encryption services, among others. While containers run on shared servers, they don’t interact with each other; thus the isolation minimizes the risk of security breaches. Higher Productivity: Containers are lightweight and operate quickly – they actually boot in a fraction of a second. With higher utilization levels and smooth scaling, containers operate with a simplicity that ensures users are able to manage applications and development quickly and efficiently. Containers eliminate the risk of environmental inconsistencies and allow for better collaboration between team members. Consistency: Containers provide developers with an environment that is predictable and isolated from other applications. This guarantees developers more consistency regardless of where the application is deployed. Rapid Delivery: The use of automated technology and cloud services enables developers to streamline as well as standardize the workflow. IT organizations are able to use templates and build on previous projects to build better applications more efficiently. This enables developers to release products to the market at a faster pace. The world has become more digitalized than ever and as the world turns towards the cloud, greater application security has become integral. Red Hat’s products have recognized this critical lynchpin and have since addressed these challenges through the new PCI-DSS applicability guide, the establishment of a finely tuned network policy, and the introduction of new features geared towards hybrid and multi-cloud deployments. All these elements bring about a robust, complete and user-friendly cloud-native application landscape that is conducive to production workloads.